Sweet-toned Canberra singer, songwriter and impressive multi-instrumentalist Kim Churchill will soon embark on a national tour in support of Single Spark, the latest single to be taken from his 2014 Silence/Win album and to get him all warmed up, he’ll be stopping by Music Feeds Studio this Monday for a session of Music Feeds LIVE. The young Australian troubadour has developed a stellar reputation both at home and abroad for his impressive ability to juggle guitar, bass drum, harmonica, tambourine and percussion all while delivering stunning vocal performances. Silence/Win is his third studio album and his first Australian major label release. It was recorded in Vancouver, with a little production help from industry heavyweight Warne Livesey (Midnight Oil, Matthew Good). 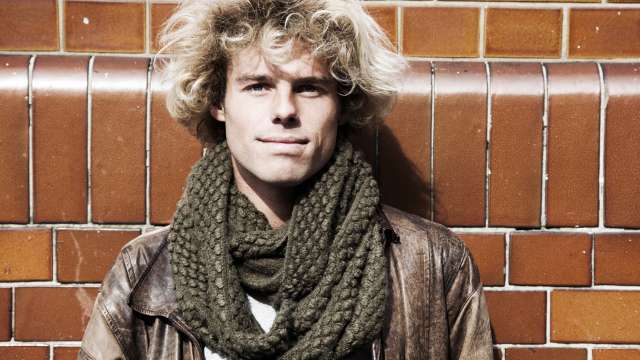 At the tender age of 24 Kim Churchill has already racked up performances on hallowed stages of Glastonbury and The Montreal Jazz Festival, he’s taken on headline tours through Canada, the UK and Europe plus has opened for international icons Billy Bragg and Michael Franti. Now he can add a live session at Music Feeds Studio to his pretty dense resumé. For your chance to see what is sure to be a captivating performance, tune in right here after 4:00pm AEST this Monday, 8th December when Kim Churchill stops by Music Feeds Studio for a session of Music Feeds LIVE.